I've now been for brunch twice, both times with a reservation (which I would recommend), and there are consistently lines out the door for the downstairs bakery, which serves everything from the aforementioned cronuts to Ansel's personal favorite, the DKA (short for "Dominique's Kougan Aman," sort of a caramelized croissant muffin). Upstairs, you'll find a full service bar and restaurant serving brunch and dinner. Brunch is served dim sum style, meaning that servers walk around with massive platters of food, stopping at your table in case you want a portion (which they keep track of via your brunch checklist). 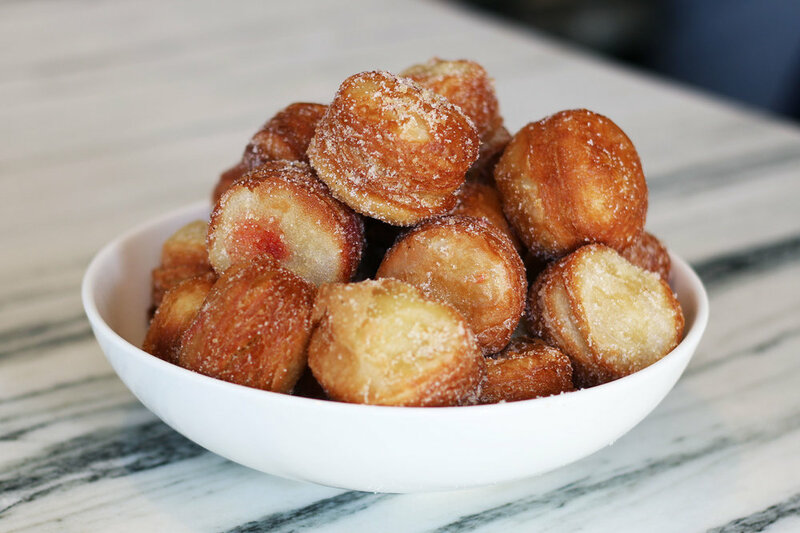 Brunch fare ranges from cronut holes filled with delicious creams to lobster rolls and fried chicken. It's anything but light, though there are a few veggie-forward and salad options. Make sure to imbibe in the bloody mary cart as well. While all the food is very solid, it's undoubtedly (and unsurprisingly) the pastries that are the star of the brunch show. I could have easily filled up (and OD'd) on sugary cronut holes and rich DKAs. 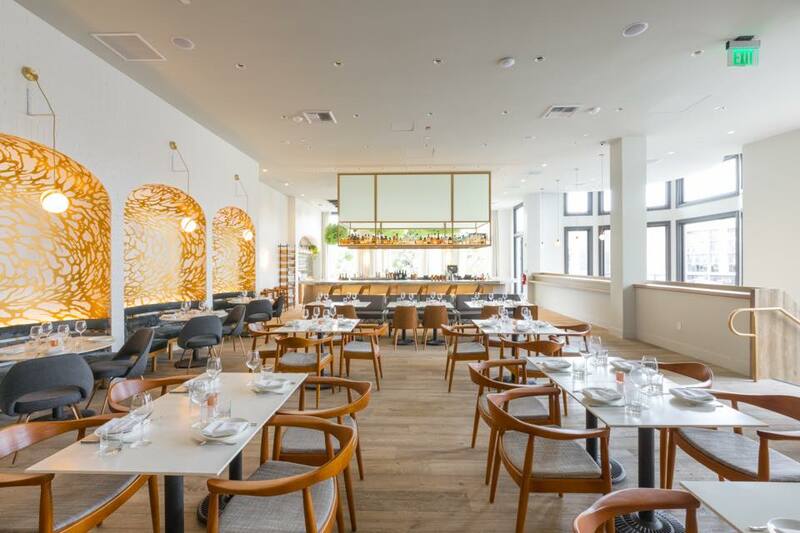 And though we recommend coming for the sweet treats, we stayed for the experience, which is a fun, upbeat brunch-- the dim sum style adding plenty of surprises and keeping us on our toes.